October brought the terrible crash of the Russian helicopter that fell into Isfjord, not too far away from Barentsburg. All 8 on board perished tragically. This sad event touched everybody in Spitsbergen and many people elsewhere deeply. For me, it was time to return to the office in October (more about the results later), before we set sails one last time in the Arctic for this year to enjoy the beauty of the approaching polar night in north Norway. Certainly a rather unusual time for tourists to come to these latitudes, but beautiful. Light, snow, scenery, places. 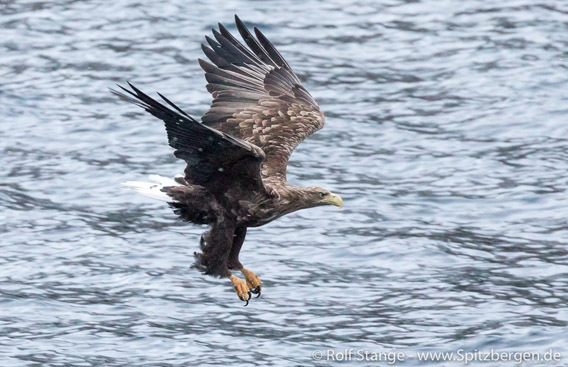 Oh yes, and Sea eagles! 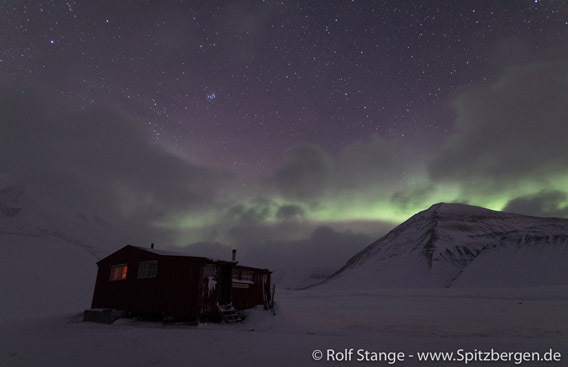 In Spitsbergen, the polar night had set in for real. A good time to relax a bit. If you have too much time, you can always remove someone’s letterbox. No long expeditions, but still, impressions of silent beauty, and time to meet friends – and yourself, after many months of intense travelling. And we could enjoy some northern lights! And then the year was almost over. Before we replaced the old calenders, there were some weeks of intense work for the finishing touches on a new edition of the English version of the Spitsbergen guidebook (the very last bit of finetuning happened actually in January – doesn’t really matter, does it?). The most comprehensive (608 pages!) and up-to-date version of this book that exists (I know, the latest version is always the most up-to-date one. And it does not yet exist, physically, it is in print as I am writing this in mid January). It is actually the 10th edition, if I count all languages, starting with the first German edition in 2007, the 5th edition of which is currently available. In spring 2017, it came out for the first time in Norwegian. And now a new English edition. By the way, the third book that I finished and got into print in a year. So I do say without hesitation that I am actually a bit proud! The Spitsbergen guidebook is appreciated by many readers, I know that. That includes professional expedition leaders and guides, which makes me even more proud. Now, if there is one thing that I’d be allowed to wish, then it would be some of the appreciation of readers and colleagues also in some offices, ship owners and travel companies as well as dedicated museums in Norway (mainland). Wouldn’t it be good if you could buy this book on board your ship in Spitsbergen while you travel there? Or, say, at Polaria in Tromsø, a museum/exhibition centre dedicated to Spitsbergen? Maybe one of them happens to stumble over these lines … maybe the word of the appreciation of readers and expedition field staff spreads into those offices. That would be my wish for this book and for me as a polar book writer for the upcoming year. 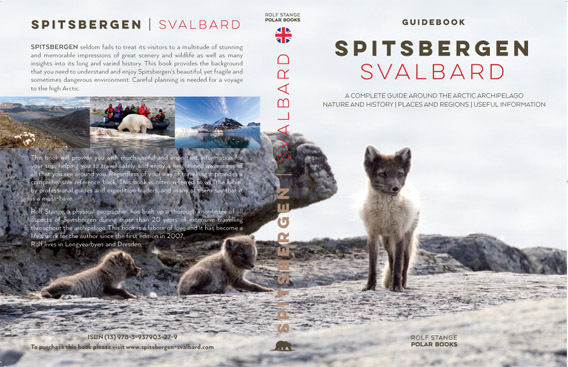 This is what the new guidebook Spitsbergen-Svalbard (4th edition) will look like. When this blog is online, then I am already off and far in the south, in Ushuaia or already on board SY Anne-Margaretha to enjoy Antarctica under sails. An amazing thought, and now it is about to become reality! So come back to this site to check the blog! Thank you for reading this far. Best wishes for the new year!